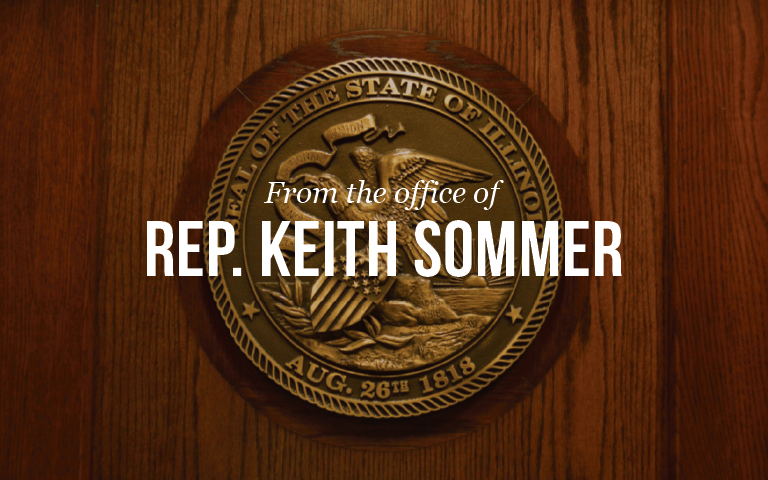 SPRINGFIELD – State law would be changed to allow the flying of flags at half-staff for Illinois military personnel killed while training on active duty under legislation sponsored by State Representative Keith Sommer (R-Morton). The bill passed the House Veterans Affairs committee on Thursday by a unanimous vote following testimony from Dale Nannen of Hopedale whose son was killed in a Marine Corps training accident last year. The legislation was inspired by the funeral of Marine Corps Major Reid B. Nannen of Hopedale, a veteran of two tours in Afghanistan who was killed March 1, 2014, when his F/A-18C Hornet crashed at the Fallon Grange Training Complex in Nevada. At the time of his funeral, state law only allowed the Governor to direct flags to be flown at half-staff for members of the armed forces killed by hostile fire, not in training. Nannen added that friends had told him that flags in Nevada, the site of the accident, had been lowered to half-staff the day after the crash. The legislation is House Bill 2932. It now goes to the full House for consideration.